Berry thanks Langston for donating to the school $1 from a prize she won. 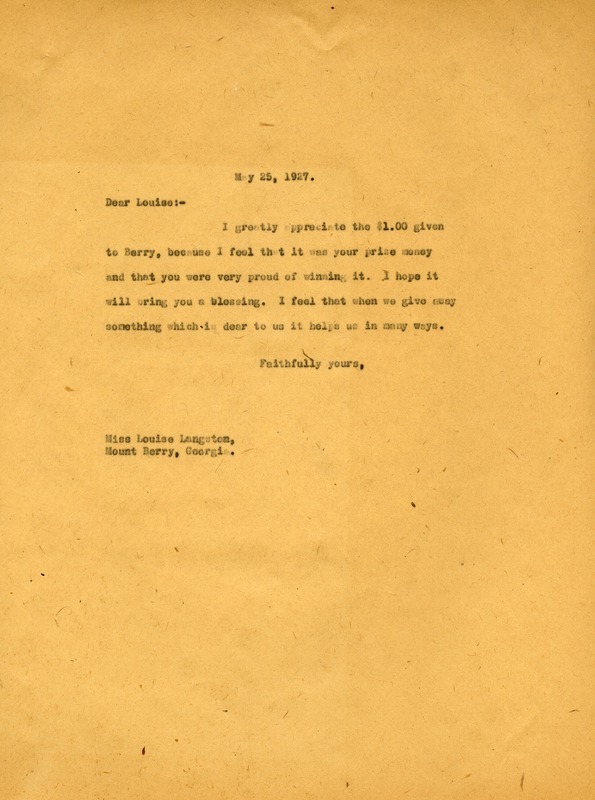 Berry tells Langston that when we give away something that is dear to us it helps us in many ways..
Martha Berry, “Letter to Louise Langston from Martha Berry.” Martha Berry Digital Archive. Eds. Schlitz, Stephanie A., Sherre Harrington, et al. Mount Berry: Berry College, 2012. accessed April 21, 2019, https://mbda.berry.edu/items/show/6314.